The new and recent paintings by Jordan Buschur use the avenues of figure, still life, and landscape to implant ordinary objects with psychological meanings. Unsteady Stacks focuses on an implied human presence through depictions of collections of books. 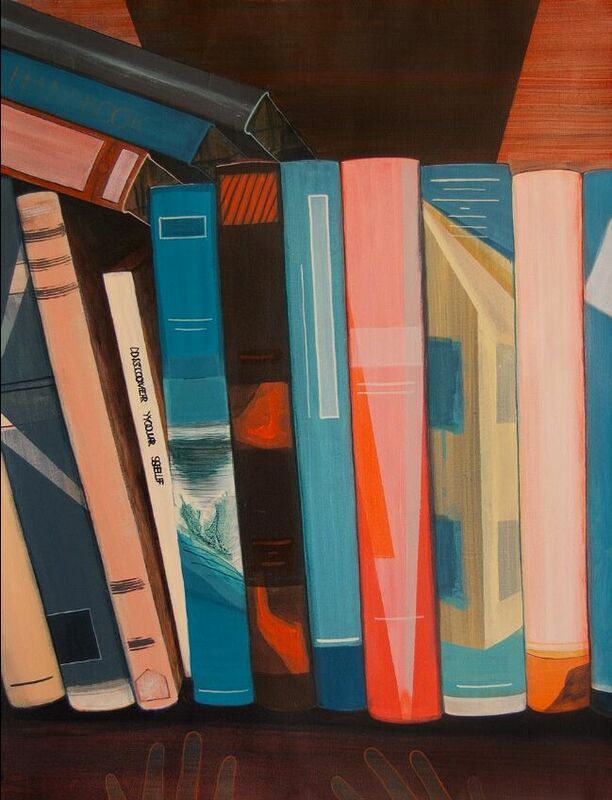 Through the act of painting, the arrangements become precariousand the books larger than life. In each scenario the books are located just outside of reality in towering stacks, contorting jumbles, and unsettling piles. Small groups of words steer the paintings towards meanings and offer hints at the contents of the books. The physical nature of book arrangements combined with the mutable meanings of the text place the paintings in the unsteady area between reality and invention.